Design conferences are everywhere. Our profession as type designers, typographers and graphic designers is moving fast and we are lucky to have these events where we can get together, learn from each other, gawk at some amazing portfolios and get inspired by the greats. Perhaps a poignant talk with Jonathan Barnbrook in eggshell-treading-interview format, where intersections between politics and design come to light, together with gloriously great, and now absent, hair? Or a warmly technical talk about the mechanics of reading and optical sizes with Tobias Frere-Jones, announcing Mallory MicroPlus, which addresses the challenges of small text and screen text simultaneously? What about Nadine Chahine explaining how the way we read affects our daily life? 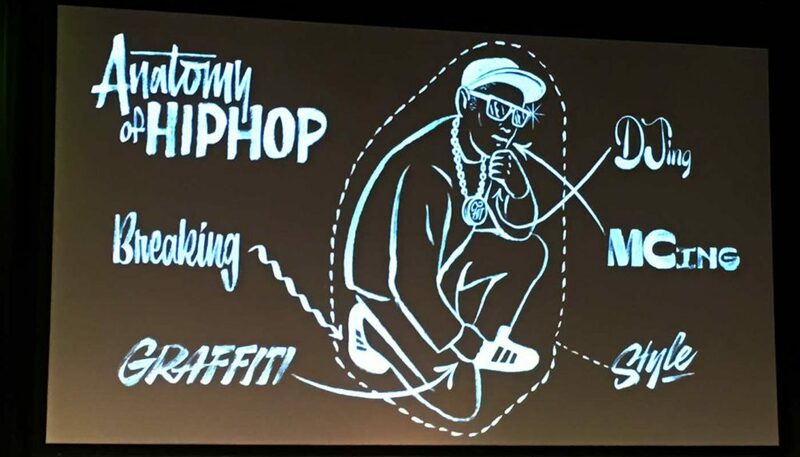 At the end of it all we might get ideas for our own projects, even from break-dancing lettering artists who make the point borrowing a page from Hip Hop: it’s not stealing, it’s ‘sampling’, as Erik Marinovich would be likely to MC say. This year’s edition of TYPO Berlin is all that but goes, well, beyond. Beyond Design was in fact the title and the intention of TYPO Berlin 2016. The rich line-up had us spoilt for choice. Violin, piano and flowers; philosophers dealing with the inner cosmos and making jewelry out of it; educators sharing their fascination with indecipherable codes or experimental design methods; buzzword addicts business people giving us good maxims (“there are no deadlines, everything is Beta”); all joined designers in keeping us at times agape, at times nodding frantically, and generally entertained. A common thread of the talks I attended – what with five events running parallel across the venue and all that – was the value of curiosity. Learning Japanese can open your mind, as much as having piles of money to design a better car –if you are into that sort of thing– or forgoing the money and driving a tricycle van to design quick logos for small businesses in rural China. Keep in mind not all good designers are good speakers, so tread wisely. But when we’re good, we are very good. 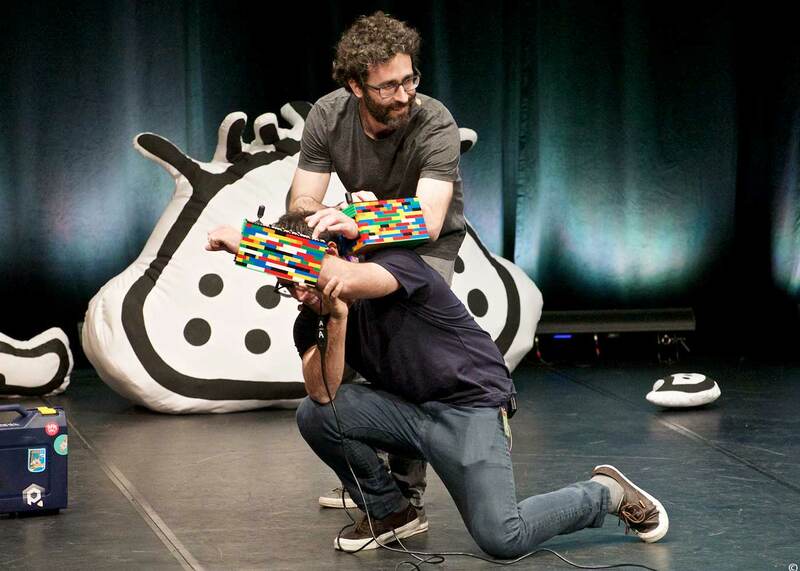 Case in point: Brosmind, dynamic duo of illustrator/designer brothers from Barcelona who manage to retain the ingenuity and awe of their own 10 year-old selves. Disenchantment is overrated. Sol is an information designer. She is really into understanding things and explaining them to you, be it with signs, graphics or words. Also facial expressions.